Over time, weathering and decay cause voids in the mortar between masonry units (bricks), allowing the entrance of water. Water entering through these voids can cause significant damage through freeze/thaw, and from salt dissolution and deposition. 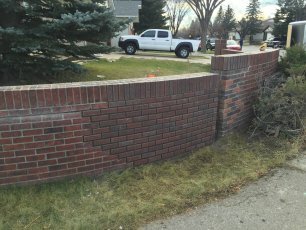 Brick pointing brings back the good bond and seal of the masonry units. We take care in removing old mortar to prevent damaging any brick in the process. Once all of the cracked joints are removed, new weather resistant mortar is applied in the joints making the masonry work look new again. No job is complete till you are satisfied because we believe that value of our work only comes when our customers have their expectations exceeded. We can work with your budget, schedule and structure to deliver the highest quality products, expert craftsmanship, most importantly without breaking the bank.